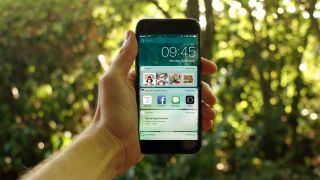 Apple's iOS 10.2 update has launched, bringing you new features whether or not you just upgraded to iPhone 7 or iPhone 7 Plus. Today's free software update focuses on three key areas: messaging, the default camera app and Apple's brand new TV app. New full-screen message effects – first introduced in the iOS 10 update in September – bring explosive 'Celebration' and heart-filled 'Love' animations. Apple is making a big push for its new iOS 10.2 TV app and there's good news: you likely won't immediately delete this one. It combines video from sources like iTunes, HBO Now and Hulu, and in the US, it sources content from Fox, CBS, The CW, AMC Comedy Central and Starz. The all-encompassing iOS 10.2 TV app lets you log into each service and simply hit the 'Watch Now' tab for easy viewing. It breaks down the barriers between the different video apps out there, and it was more populated than the iTunes-only Video app it replaces. Preserve Settings lets you stick to the camera mode (video, square, portrait, photo filter (chrome, mono, instant, etc) and Live Photo. Previously, these would reset once the app was closed. There are also three new wallpapers to discover. They're artsy with different colored droplets. We'll likely find more iOS 10.2 features since Apple just moved from the beta to the final software today and update this page with additional surprises.